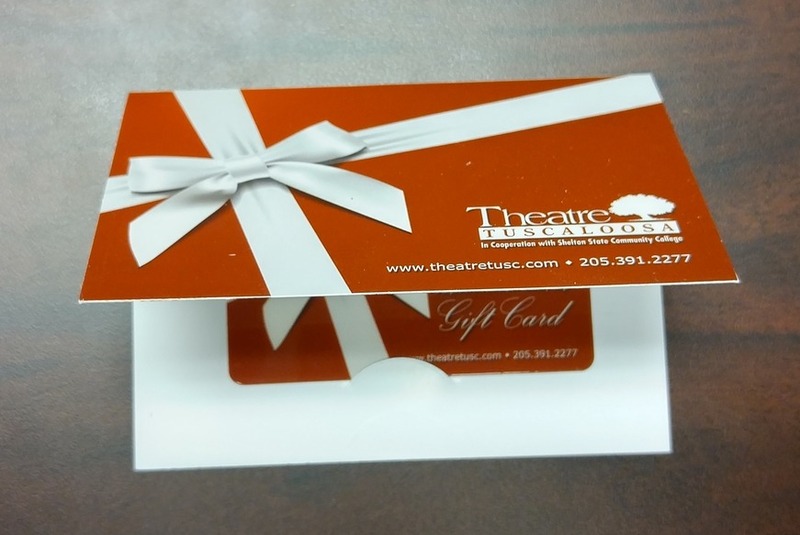 If you're looking for a unique gift for that special someone, the gift of theatre is perfect! Each and every one of our performances are unique works of art, and there's nothing like the experience of participating in live theatre. 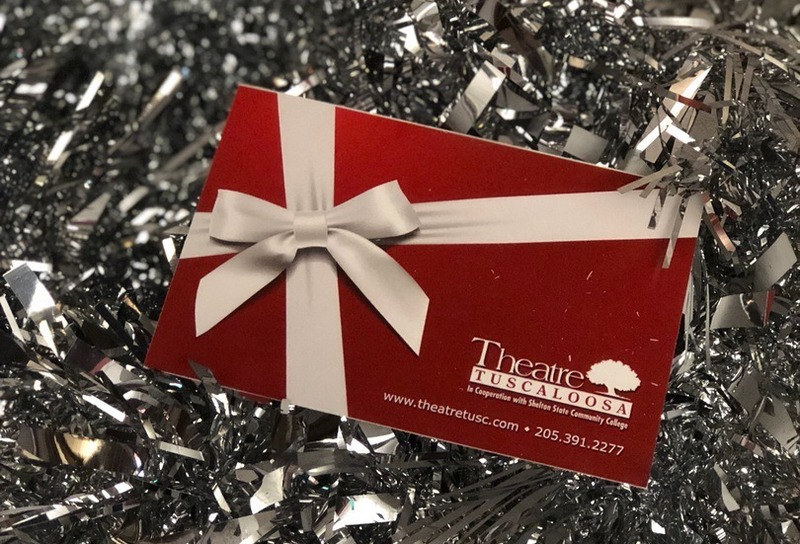 Whether you'd like to purchase a gift certificate for a specific amount, a pair of tickets, or a whole subscription, we would be happy to customize a special package for you. If you need an instant gift that can be purchased online, printed immediately, and given right away, this is the perfect option! These are credit card size gift cards that come in a gift card holder and can be mailed to you or your recipient. They can only be purchased either in-person or by phone at 205.391.2277. May be purchased by phone at 205.391.2277, in person at the Ticket Office (9500 Old Greensboro Rd, Tuscaloosa, Al 35405), or instantly online. 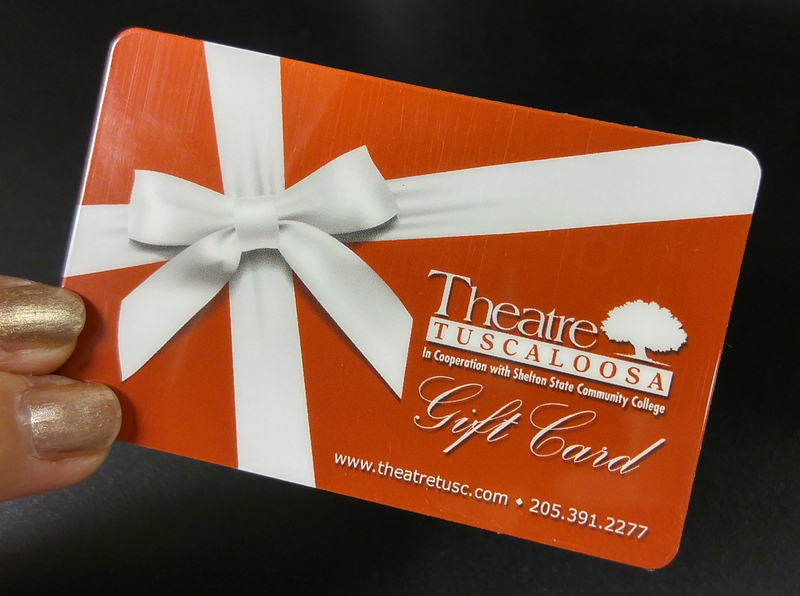 Gift Certificate/Card balances can be checked by calling 205.391.2277 during regular ticket office hours. 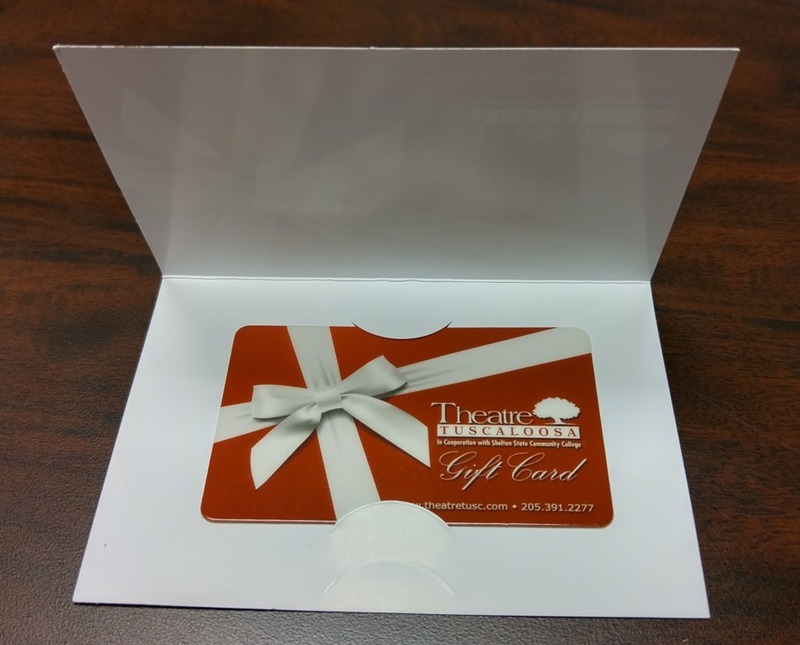 Please have your gift certificate or card in-hand when you call, because we will need your gift card ID # to check the balance.